Ocean Freedom visits two amazing scuba diving sites on the Great Barrier Reef, Upolu Cay Reef and the “Wonder Wall” on Outer Edge Upolu Reef. Our crew are passionate and knowledgeable about the reef and will love showing you around these protected sites. Packages are available for introductory and certified divers. Explore pretty, shallow coral gardens at the shallow waters of Upolu Cay Reef, before diving down to 10-15m on the “Wonder Wall”. Diving is matched to your experience, so you will feel very comfortable in the water. Please note: All diving is subject to you having no medical condition (past or present) or taking any medication which may be contradictory to diving. 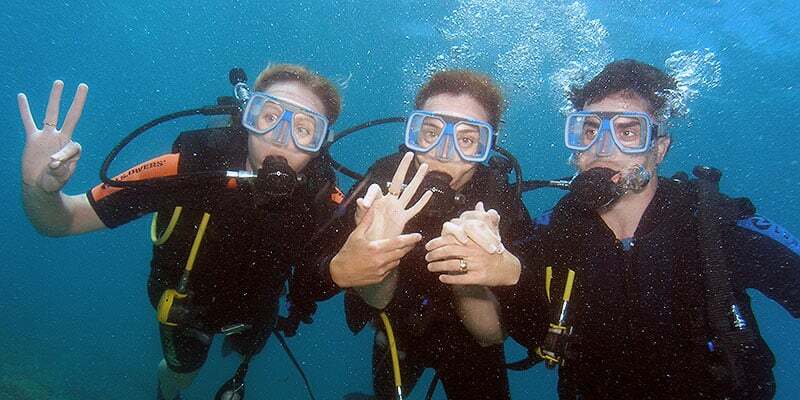 All divers (certified and introductory) will be required to fill out a diving medical questionnaire on board, regardless of whether pre-booked or booking on board. It is imperative that you inform us of any health condition or medication truthfully, as diving has special health requirements, in part also due to breathing compressed air. Ocean Freedom takes your scuba diving safety very seriously. Our professional instructors are on board to provide tuition and assistance, as and when required. Our Scubapro diving equipment is well maintained to the highest standards and prescription masks are available on request. After your dive, look at our reef and fish books to identify what you have seen. 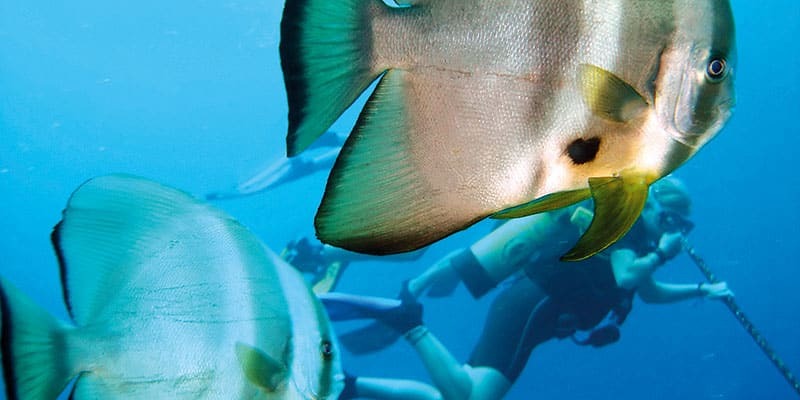 Your diving experience begins with a short briefing as you cruise to the Great Barrier Reef. This briefing covers all the basic skills and safety aspects required for diving, and the crew will ensure you feel relaxed and calm about the whole experience. You will be assisted into the water, where your instructor awaits to guide you around the Great Barrier Reef for 30 minutes. This allows you to get up close and personal with all of the incredible marine life that the Great Barrier Reef has to offer. You will feel weightless as you float past the beautiful corals, turtles, reef sharks and Nemo. This is an unforgettable experience that will be remembered for life. Ocean Freedom goes to two sites, chosen on the day to maximize your enjoyment. Upolu Cay Reef offers diverse colourful coral gardens, home to stingrays, turtles, parrotfish, coral trout and more. Meantime, dive depths on the “Wonder Wall” vary from 10-15m depending on tide. This spectacular dive site boasts hard and soft corals, gorgonian sea fans, anemone fish, Maori Wrasse, the occasional Bull ray and white tipped reef sharks. Don’t forget to peak under the ledges to look for large painted Crays and check out the Bat fish by the boat! Certified dive groups are small, usually no more than 4 per group and are provided a complimentary guide around the Great Barrier Reef!